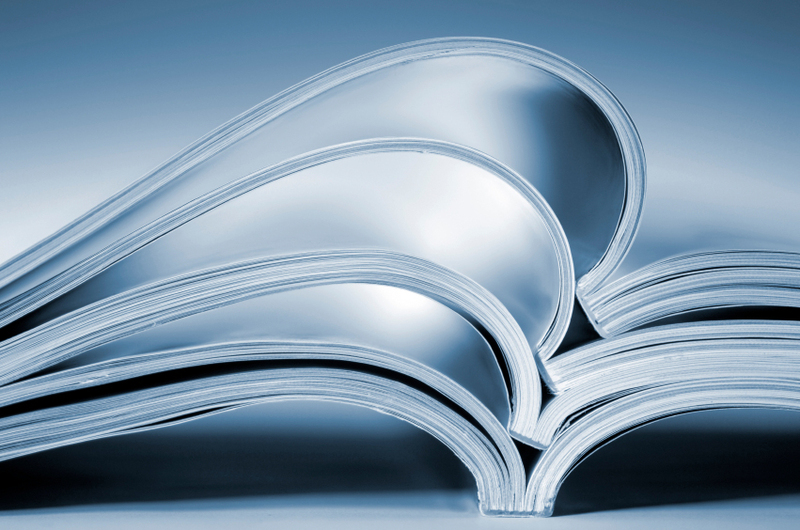 This page contains all our technical articles from 2013. KSB is working on building the largest wastewater pump in their company’s history. 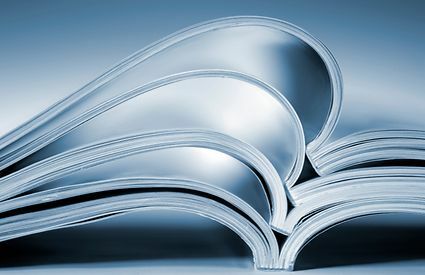 In the article titled “Deep Tunnel Super Pumps—Pushed to the Edge”, author Michelle Segrest, Pumps &amp;amp;Systems Magazine describes in detail the complex problem, and the even more complicated solution. Artifical Wave machines and surf simulators use efficient, high-volume, low-head pumps to produce realistic surfing conditions. By Jared Wray, KSB Inc.
Surfing has had its own culture and traditions for years. It is synonymous with beautiful people in beautiful places, living the dream of escaping from their everyday lives. While not everyone lives in Hawaii or California, which supply some of the best surf conditions, more people have gained interest in action sports like surfing. This wave of popularity has made surfing a big business. In 2008, Surf Industry Manufacturers’ Association estimated that the surfing industry was worth $7.2 billion in the U.S. The surfing industry, including the clothing and fashion markets that bring in a similar revenue stream, continues to grow. The global surfing market is expected to reach $13.2 billion by 2017. Some surfers may say that nothing beats the real thing, but since most people do not live on the coast, a void exists in this market for those who seek the thrill of catching the perfect wave. This void led to the development of artificial wave technology and the creation of surf simulators. These machines can be found in theme parks, shopping malls, dedicated surf parks and action sports zones. Many cruise ships also have surf simulators. Surf simulators have been around since the early 1990s and have rapidly evolved to create a more realistic and authentic surfing experience. These perfect waves are created by an approach that requires flexibility; a seasoned, multi-disciplined team; and the frequent use of prototyping to verify analytically derived data. One surf simulator developer credits the origin of this machine to the idea of a hydraulic jump, a phenomenon that naturally happens in open-channel water flow. To create a hydraulic jump, a critical initial fluid speed must occur. This fast-moving stream then encounters a slower moving area of water to create the hydraulic jump. Precisely positioned spoilers guide this jump. The ability to manipulate the incoming flow rate, channel width and position of the spoilers creates a life-like version of an ocean wave. Bruce McFarland, president and founder of American Wave Machines, Inc., spoke about this technology’s success. Engineered designs are available for multiple styles of wave production to reach a broad target market. In a fiberglass system, each mold can be customized to the design of the wave machine to determine the capabilities of its output. Once the design is determined, the next step is to engineer the pumps, which are the mechanical heart of the system. Typical wave machines require multiple pumps to provide tens of thousands of gallons of water per minute with total motor power requirements from 300 horsepower to 650 horsepower. 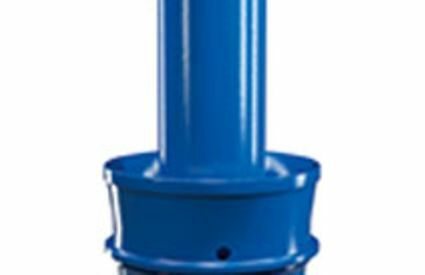 Depending on the manufacturer, such pumps can be installed either vertically or horizontally. Tubular casing pumps used for the wave machines provide good performance in both horizontal and vertical configurations. However, when space allows, vertical installations provide superior hydraulics, mechanics and serviceability. While each wave can have a different specification determined by preference, the designs are created by trusted engineering solutions to guarantee efficiency, safety and overall success. Tubular casing pumps used for the wave machines provide good performance in both horizontal and vertical configurations. The adaptability of this engineering allows the product to be customized for the individual needs of end user. 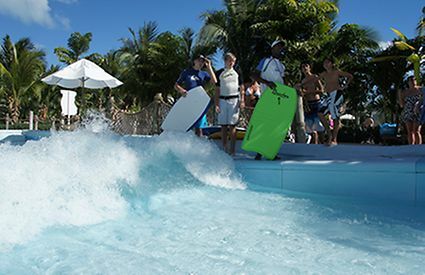 A wave machine delivers the same promise of a realistic experience for surfing as driving ranges do for golfers and batting cages for baseball players. It is even possible to use an actual surfboard instead of a simulated surfboard. This has allowed for an increase in new business from both experienced and inexperienced surfers. To reach audiences with different skill levels, the speed of the wave can be adjusted based on the skill set of the rider. Certain wave simulator designs have patented modular wave systems and fully variable stream conditions that guarantee that the waves can be optimized to any individual. Developing the product into a training tool gives people an opportunity to transfer their skills to surfing in the ocean. In the water park industry, facilities are typically opened on a seasonal basis, and the maintenance of the product is critical. Maintaining the rotating equipment is essential, and the operators should be aware of the protocols to properly perform upkeep on these machines year-round. Periodically running the pump during the off season to keep the system in good operating condition is important. By consistently running regular startups, end users will reduce the possibility of bearing failure and will avoid non-lubricated mechanical seal faces. Avoiding these non-lubricated seal faces is important because they can lead to shaft leakage and prevent the formation of deposits within the pump, intake and discharge areas. Based on the design and manufacturer of a horizontal or vertical installation of the pump, these parts can all be maintained in a few short steps, with the major difference being that a vertical installation is easier to remove for preventive maintenance. By following these parameters, end users can be assured of a long-lasting and reliable product that will be able to entertain their customers year-round. The water park industry has come a long way. To reach a broader market, it is moving toward more engaging rides that involve and stimulate visitors. From the young and inexperienced to professionals, the authentic surfing experience is easily accessible with a safe, reliable and quality product that produces an endless ride—and tubular casing pumps are part of the revolution. Typical wave machines require multiple pumps to provide tens of thousands of gallons of water per minute. Photo courtesy of American Wave Machines, Inc.